The Pent shed has ledged braced doors. The Apex shed comes with a single door which is standard on the left (can be placed on the right but need to select free option above from options); 12mm pressure treated shiplap tongue grove cladding; 28mm x 44mm planed rounded framing. This Apex shed comes with Solid OSB Floor and Roof and mineral roofing felt and full fixing kit and instructions. The shed is constructed from high quality pressure treated tongue and groove shiplap cladding. The high quality floor joists give the shed a solid and sturdy feel. The floor and roof is constructed from 10mm solid OSB Board. Top grade timber is used throughout, sourced exclusively from Scandinavia and Siberia where the best timber for sheds is produced. The timber is tight grained producing less sap and is therefore a more durable timber than the faster growing timber used by other shed manufacturers. The benefit of purchasing a pressure treated building is that it is almost completely maintenance free once the building has been soundly erected, meaning there is no need to treat it every year which provides great savings over the years. Infused into the wood is a chemcial preservative that goes deep into the wood, it is rot free and needs no yearly treatment. 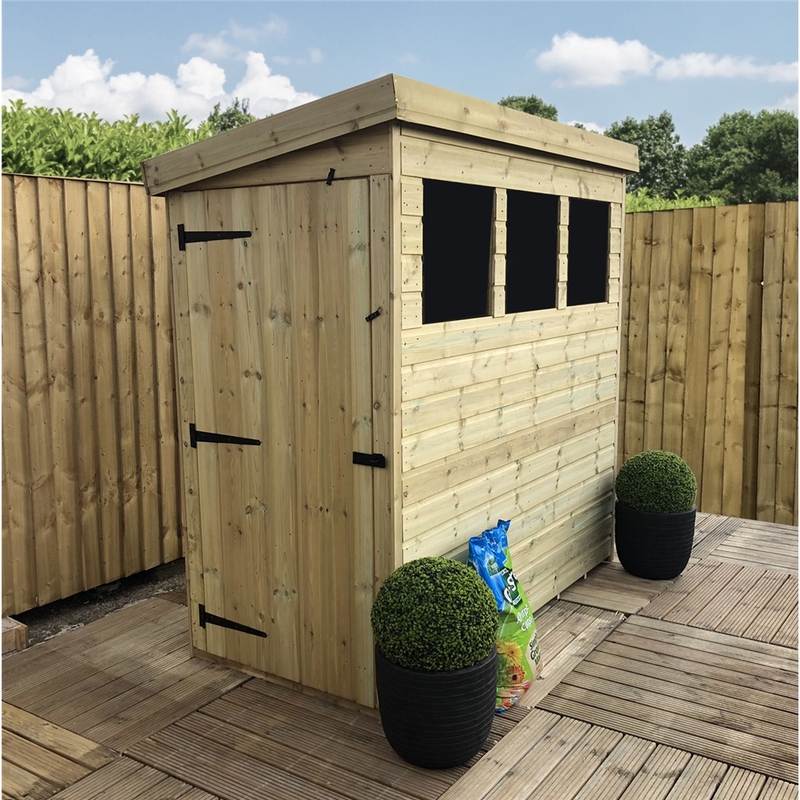 So rather than worrying about treating your shed annually the timbers will mainly look after themselves, leaving you to enjoy your garden and rest assured that your garden items are in the best of hands.